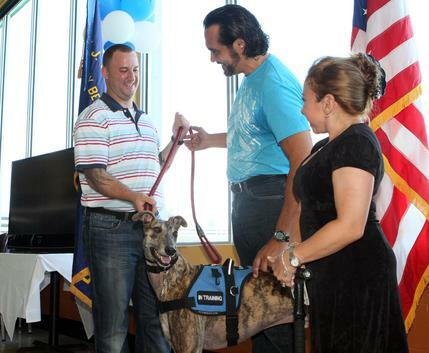 That’s all changed thanks to Doc, a retired racing greyhound trained as a Service Dog specifically for Bergeron, who suffers from post-traumatic stress disorder after tours in Afghanistan and Iraq. 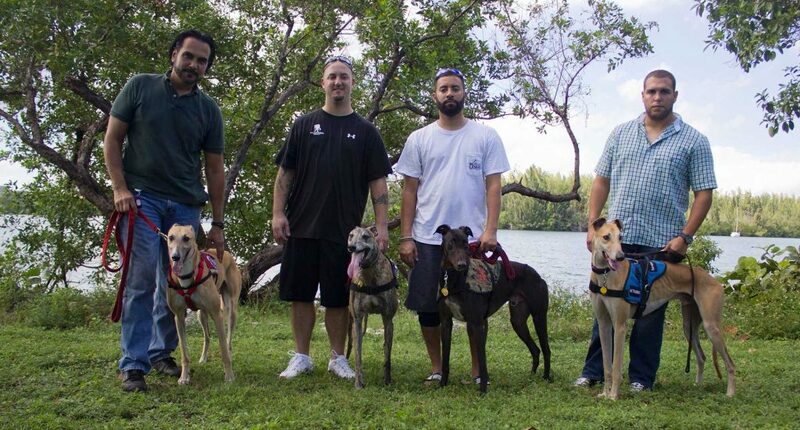 “Instead of seeing a sea of people, they just focus on the dog and it almost makes the sea of people disappear,” says Daniel De La Rosa, director of training for Service Dogs 4 Servicemen. With Doc by his side, Bergeron says he’s able to go to baseball games, movies and even Disney World without looking for the back door. To relax, he’d go out drinking or smoke cigarette after cigarette. Mostly, he’d just stay home and not talk to anyone, even his wife. 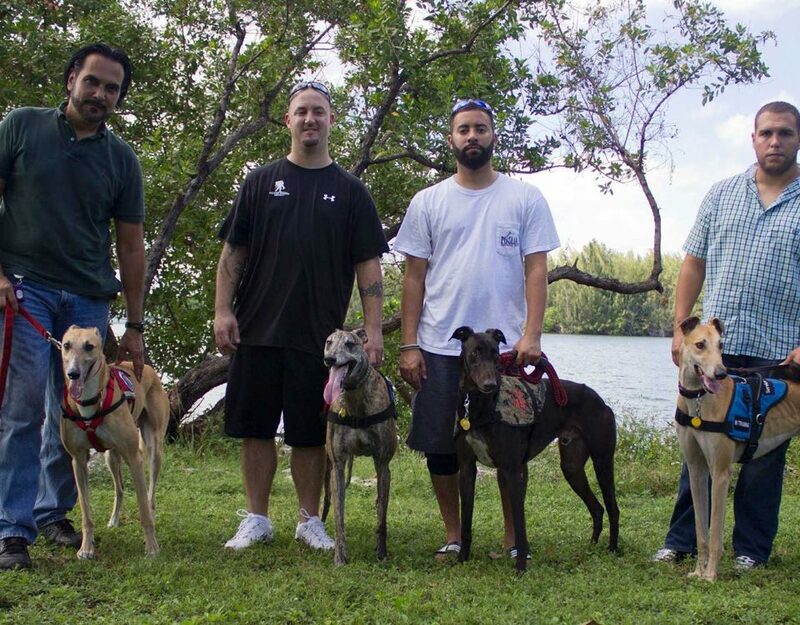 “When they have a dog that’s retiring or isn’t the best racer, they give us a call,” she said. 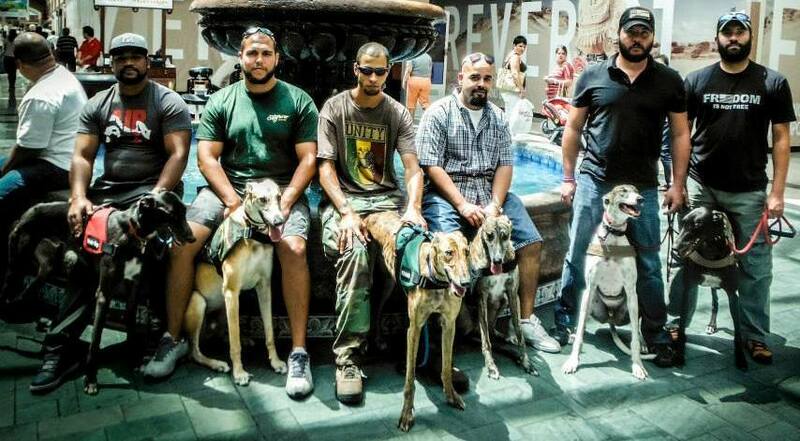 Four dogs — Scout, Doc, Gunner and Humvee – came from Awesome Greyhound Adoptions in Boynton Beach. 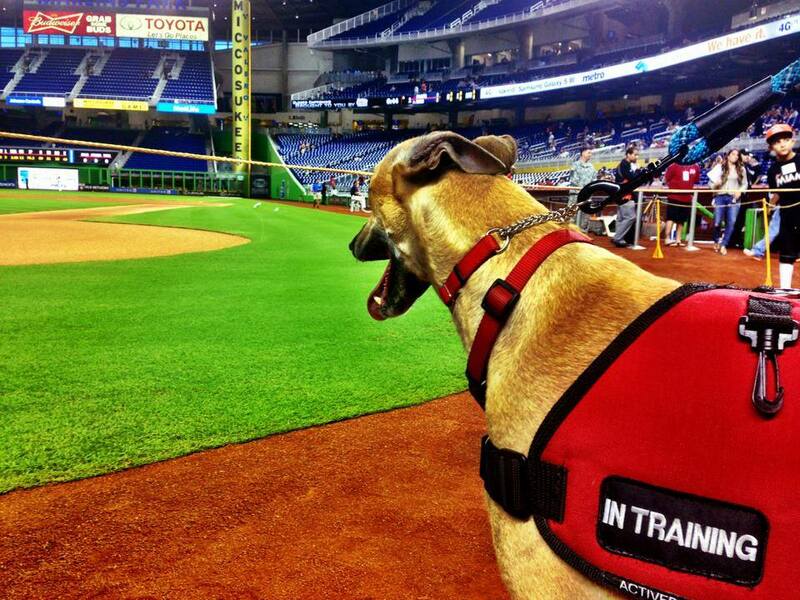 The rest have come from Greyhound Pets.